Since every driver is different, it would only make sense to find the kind of personal and unique auto financing when searching for a new or used ride here at our Cape Cod Nissan dealership serving Hyannis, Barnstable, Falmouth, Plymouth and Bourne. We’ll help you find the kind of new Nissan or used vehicle that works for you, and with the kind of lease or loan deal that makes the most sense. Head on over to 322 Falmouth Rd, Hyannis, MA today and see what we’re offering for new Nissan leases or any kind of auto financing that makes the most sense for your budget. Even before figuring out what kind of new Nissan or used car you want, you might want to decide between a lease or loan. Maybe you’re set on one kind of auto financing over the other, but if you’re unsure, we’ll be more than happy to go over your options. We also provide the tools to apply for finance here online, before coming in to talk with someone, and we’ll even help you out if you have bad or no credit, so get in touch with us, or come over today and get started on your financing options. Along with shoppers from the Cape, we offer the kind of sensible car shopping and financing options for anyone from Nantucket, Martha’s Vineyard, the Islands and Southeastern Massachusetts, so head over and see what we have going on. See what kinds of new Nissan specials we have going on, or consider our featured used vehicles to find the best kind of ride that you can finance in a way that works for you. 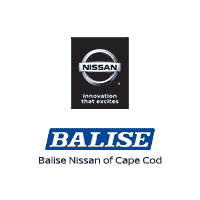 Wherever you are in eastern Massachusetts, discover the fair and easy auto financing we offer at Balise Nissan of Cape Cod and come over today.